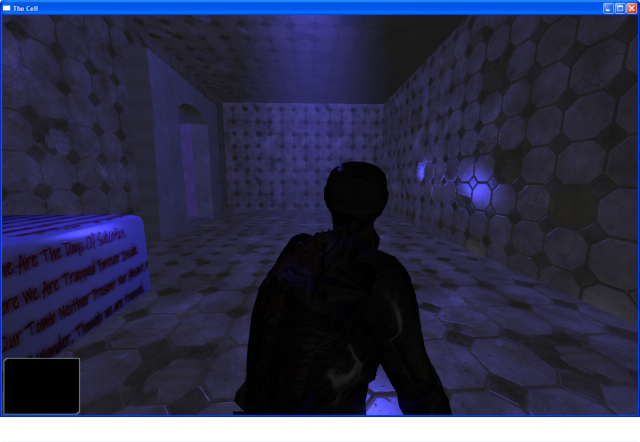 This was one of my earliest game development projects, it was a zombie horror mod built upon Max Payne 2. After completing Max Payne 2 I found myself being fascinated by the structure of the game, primarily its focus on scripting, and found myself making a number of mods to the game, including various perspective modifications and weapon packs. Eventually, I wanted to take on a larger project with others. And found a person who wanted to work on “A Different World” I joined and we recruited 2 other people and a webmaster, “A Different World” was born. I had a great time working on this project handling the vast majority of the coding/scripting work, in doing so rebuilding the AI, creating a gore system, getting melee weapons to work, and implementing some awesome gun and particle emitter changes. Unfortunately we were never able to complete it and were only able to release an early development video that proved far more popular than I had ever expected, we didn’t have overly high expectations for the mod nor did we wish to break new ground with it, we simply wanted it to be enjoyable and re-playable. Based on this we succeeded but found ourselves up a dead end in terms of storyline and development direction and were eventually unable to continue. Now that I look back on the project I realise how unimpressive most of it is, but as one of my first games projects my portfolio website would not be complete without it. “A Shadow Over Innsmouth” by H.P. Lovecraft. would fit very well into a game. I wanted to work in collaboration on a project again after “Warscathed” had gone so well, and met ‘Max’. Max had a very strong grounding in 3d art, writing and in 3d level creation, this obviously made him a perfect teammate. The original idea of the project was to create a “Virtual Innsmouth” where the player would be able to walk around the town and collect pieces of the story. After working on some large sections of the world, we felt that an open world was too free to interpretation, to really follow what Lovecraft had envisioned, or be scary enough to keep the players interest to completion and instead we collaborated on a new storyline. Max took care of the majority of the writing and level creation where I handled the engineering side of development, including tools and rendering. We felt that we needed an environment that seemed large but claustrophobic at the same time, after thinking about this we came up with the idea of being trapped on a ship in the middle of the ocean, this also provided a very nice explanation for the “wet-look” that normal mapping tends to give. We Created a large section of the ship that the player could walk around in, by prototyping in hammer then rebuilding and re-texturing before importing back into the game. As a way of practicing my lua skills I produced ‘Little-Red’ this project is intended to be an entertaining, production aimed at children. Little-Red is intended as a run-time storybook, for young children, made using the LOVE games engine, and written entirely in Lua, Little-Red is a simple re-intepretation and re-write of the old fairy tale. It is intended to have a simplistic parallax layer, based “shadow-puppet-theatre” style.